This palette was released for the holidays. I got it right after the holidays and have had plenty of time to play around with it. Let me tell you right now that it is one of Kat Von D's best palettes. Why? Because the eyeshadow quality is out of this world. You have her Metal Crush eyeshadows and her famous matte formula eyeshadows together in one palette. The colors are beautiful. Anyone can wear them. I put together some fun combinations and wore them. I really like this pallete and I can see myself using it all the time. 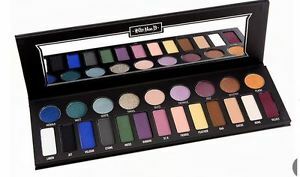 It has 9 metallic eyeshadows and 13 matte eyeshadows. They blend together beautifully and don't have any problems. There is no chalkiness, they are very creamy and soft and I find the eyeshadows to be very pigmented. 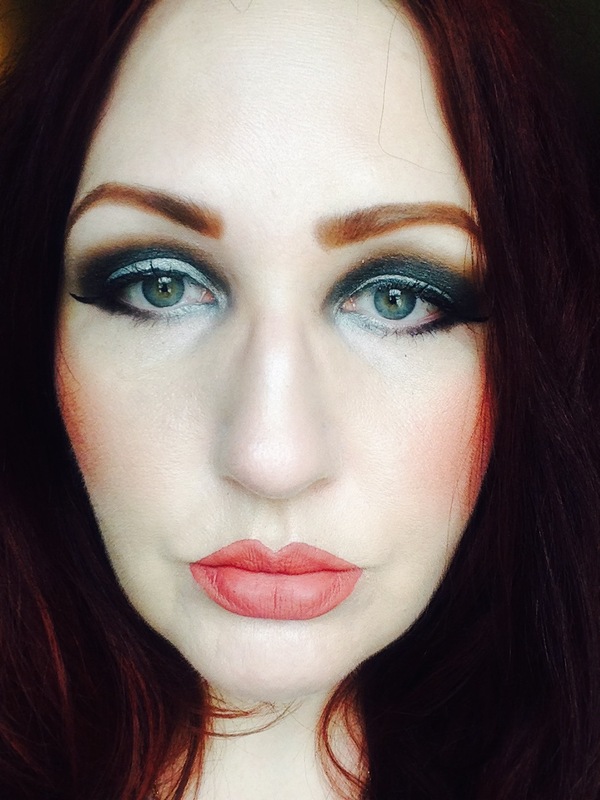 On top are the shimmery metallic eyeshadow and on the bottom are the matte eyeshadows. All of them swatched pretty well. Even the lightest shades. Here I am wearing Bone, Ignite, Moss and Jet. Here I am wearing Bone, Oak, Ignite and Stone. In this photo I am wearing Twinkle, Volt, Velvet and Ribbon. In this photo I am wearing Ribbon, Bone, Silk and Volt. And with every single one of these looks I am wearing Everlasting Liquid Lipstick from the Everlasting Obsession Liquid Lipstick Collector's Edition. This palette retails for $60.00 and is currently available at SEPHORA. It is no longer available online. Like SEPHORA on Facebook: https://www.facebook.com/Sephora?ref=br_tf; Follow SEPHORA on Twitter: @Sephora, Follow SEPHORA on Pinterest: http://www.pinterest.com/Sephora/; Follow SEPHORA on Instagram: http://instagram.com/SEPHORA#; Subscribe to SEPHORA on YouTube: http://www.youtube.com/channel/UC9YX5x_VU8gfe0Oui0TaLJg; Follow on Google+: https://plus.google.com/+ Sephora/posts; Follow SEPHORA on Wanelo: http://wanelo.com/sephora and Follow SEPHORA on Tumblr: http://theglossy.sephora.com/.